What a whirlwind! 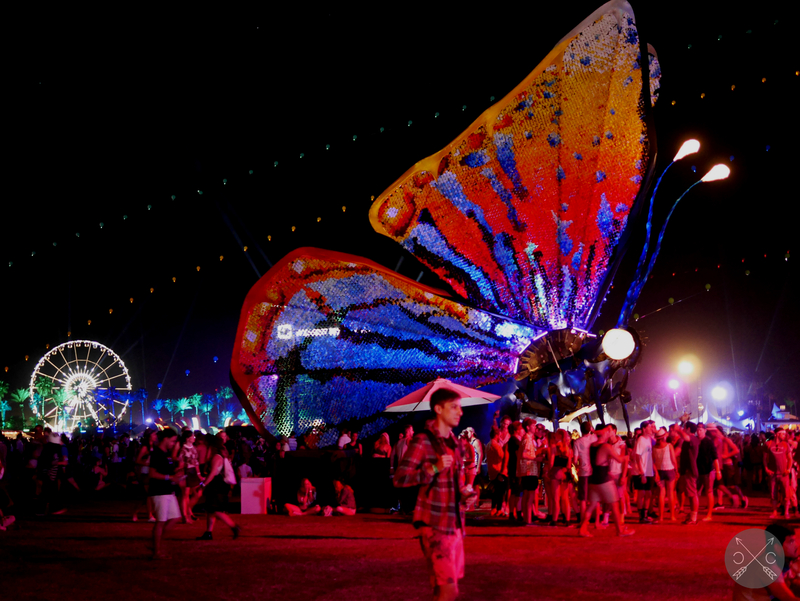 As expected, Coachella was full of amazing music, delicious food, hot weather, flash tattoos and lots of dust. Despite the heat, we managed to be able to see some stellar music acts. The Weeknd: such an improvement from when we saw him a few years ago. Kiesza: seriously, mind blowing. She even did the worm!! Fitz and the Tantrums: pumped with good grooves and confetti showers. <3 It’s worth catching the end of their set after Florence + the Machine. Kasabian: yes! More, more energy! After mellowing out to alt-J/Glass Animals, it was great to absorb the intensity from this band after sunset. Run the Jewels: this dynamic, highly entertaining hip hop duo brings on the heat – especially in that desert heat. Whew, still sweatin’ just thinkin’ about it. Clean Bandit: such a talented group sending good vibes to carry through the day. They even brought out special guest, Marina and the Diamonds, for an exclusive premiere of their collaboration! Alabama Shakes: so much soul and energy, it will be hard to miss this band as they’re breaking the sound barrier. You’ll know what I’m talking about when you hear them. Kaskade: this might’ve been the most packed stage we were at during the weekend! I’m pretty upset he is doing a SECOND show on weekend 2. fml! Despite the “no blankets” rule, we didn’t have any problems bringing in a picnic blanket. Always get a locker. Totally worth it. Even though all the vendors use Square, it’s still convenient to bring cash. We stumbled upon a cash only bar, and some of the places had tech problems with Square. And, it’s just so much faster and convenient to use cash. Gotta say, the fact that there were real bathrooms was prettttty amazing. Pretty bummed I stained my shirt the first day. UGH! 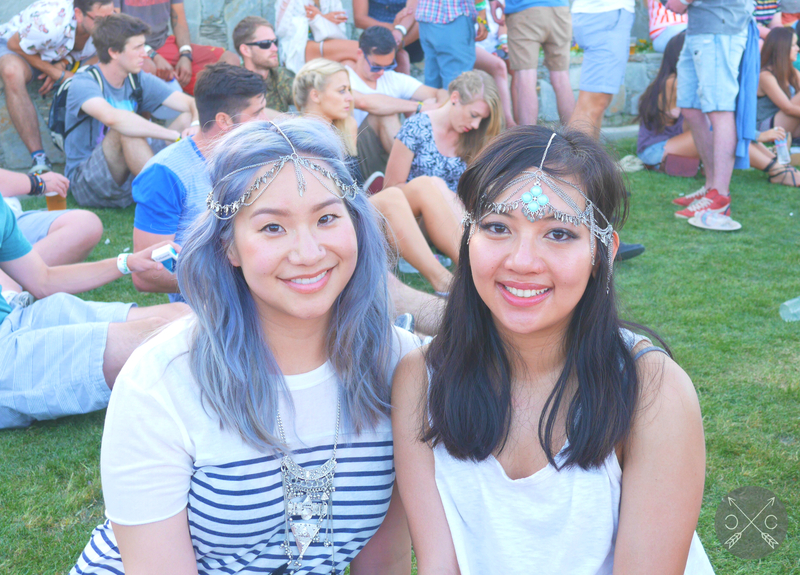 But, pretty happy that we got to put our DIY head chains into use! The transition into night was just as beautiful as the day. 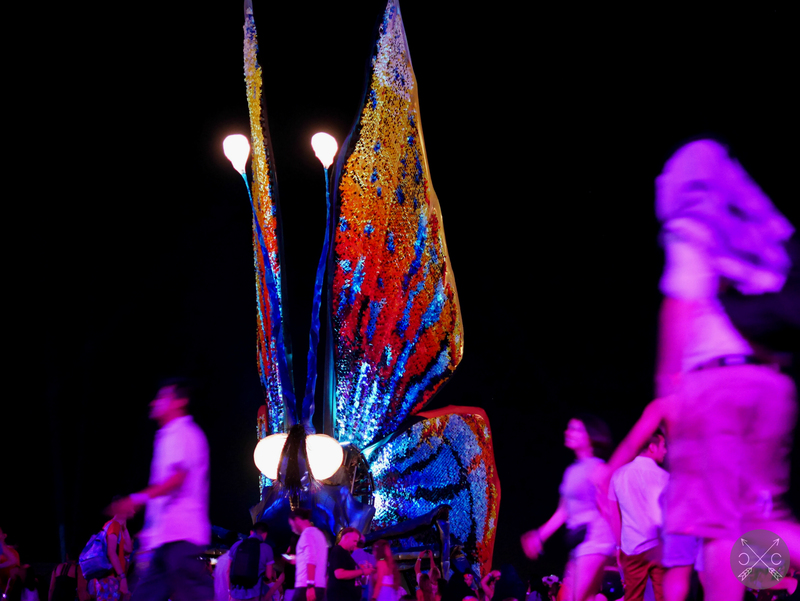 … until next year, #postchella withdrawals. Aw, thanks, Tuwie! Wish you were there with us!